The Hub Teen Center & Skatepark is a nonprofit teen center serving youth up to age 19 with the mission of providing a safe, supervised, substance-free environment when school in not in session. The Hub provides an alternative to traditional after school activities by giving teens a place of their own to socialize, study, access the internet, hear music, explore interests like visual arts or videography, feel safe and experience the support and supervision of adults who respect the challenges of young adulthood. The Hub is a program of the Town of Bristol’s Recreation Department. The Hub staff report to the Recreation Coordinator, who reports to the Town Administrator, who reports to the Bristol Town Selectboard, who represent Bristol taxpayers. The Bristol Recreation Club, a local private nonprofit organization, owns the Hub building and the land it and the skatepark are on. The Bristol Recreation Club rents the building and grounds to the Town of Bristol. When is The Hub open? Every school day when Mt. Abraham Union High School gets out, until 6pm. Hours expand in the summertime (resources permitting) and the teen center opens earlier in the day to students who are out of school early for legitimate reasons, if staff is present. The center tries to be open during school vacations and is open on many holidays, when staff is available. The skatepark is open from dusk until dark, when it officially closes to the public. Who pays for the Hub? The Town of Bristol pays for basic overhead, 1.5 staff, and makes a contribution toward programming costs. 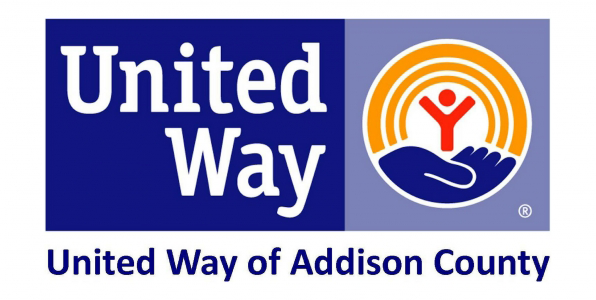 The Hub staff works to bring additional funding to the center and its programs by writing applications to foundations and other supporters, which include The United Way of Addison County, The Children’s Trust Foundation, and the Vermont Community Foundation. Do you allow smoking at the teen center? Smoking is not allowed on the Hub or skatepark property. Tickets are issued to youth who are caught smoking and their parents are notified. Why don’t you have lights on the skatepark for night skating? The skatepark is closed at dark, and we aren’t seeking to open later than that because we don’t want our neighbors disturbed by noise at night. Can my sports team use the Hub to get together? Yes! If your team is generally age 12-19 years old and has a coach or chaperone with you, the Hub is available at no cost for breakfasts, pizza parties, and to review practice or game video on our big flat TVs. Can I host my child’s birthday party at the Hub? Yes – The Hub has turned out to be a lot of fun for younger kids – our indoor skate ramp, video games, musical instruments, kitchen and colored lights make the Hub a perfect local venue to have a child’s birthday party. Donations to support the Hub’s programming are welcomed. I saw the police at the Hub. Were the kids being bad? The Hub has a grounded, proactive relationship with the Bristol Police Department and its officers and they have an open invitation to visit. The Hub staff interacts fluidly with the BPD, making contributions to the community-wide effort to prevent drug use, help teens in distressed personal situations, explore strategies for improved effectiveness as community partners, and maintain the Hub as a safe space for young adults. Our teens make choices that aren’t always fully informed; we play a part in providing the oversight and guidance that helps them learn from their mistakes, in partnership with the BPD. We’re proud of the open channel we maintain with law enforcement and welcome their presence as allies in our work. Chief Gibbs is also annually the guest of our teens, visiting to answer all their questions for our “Interrogate the Chief” event and Sergeant Crowe has presented a gun safety workshop. I want The Hub to succeed as a resource for Bristol’s youth. How can I help? Donations of funding, expertise, and time are all welcome – The Hub has grown over the years, but only because of community support. We generally always have a wish list of items that would be useful, and donations via the Recreation Department that help us afford supplies and improvements are always very welcome. If you’d like to present a workshop or demonstration that teens would appreciate, contact us to explore your ideas. How could I play a role in important decisions at The Hub? As a taxpayer, your vote on Town Meeting Day for Bristol’s Recreation Dept. budget is also a vote to keep the town engaged with Bristol teens, providing a safe and supervised resource at The Hub. Your comments or suggestions – whether they’re kudos or critique – are welcome and can be directed to the Hub’s director, the Recreation Department, or the Town Administrator and selectboard. The Hub always welcomes you to visit, meet the staff, and take a tour. Many years of effort have gone into making The Hub as good as it is now, and your input will help make it even better. A group of volunteer Hub supporters from our community – business owners, community leaders, parents and teens – comprise the Hub’s Community Advisory Board. The C.A.B. meets to combine experience and skills to advance The Hub and its programs on behalf of the community and its youth. If you have an interest in participating, check out our calendar or reach out via the Contact page!